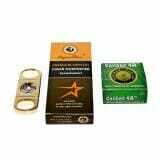 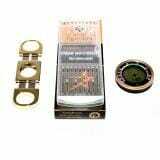 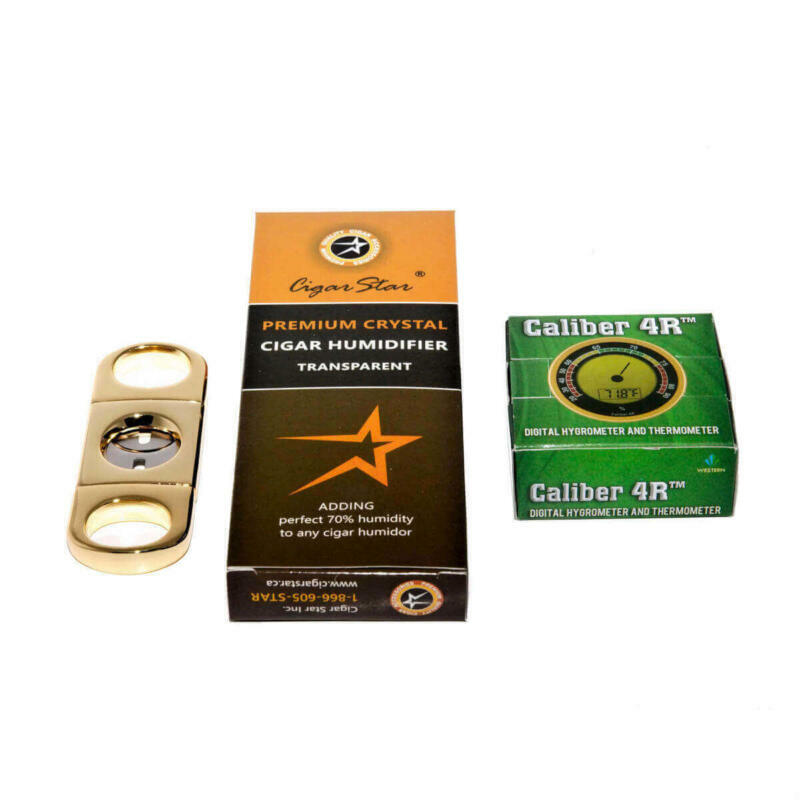 Crystal Humidifier, Caliber 4R Digital Hygrometer, and Gold Cigar Cutter Set. 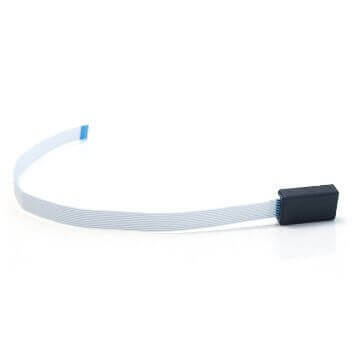 Buy and Save! 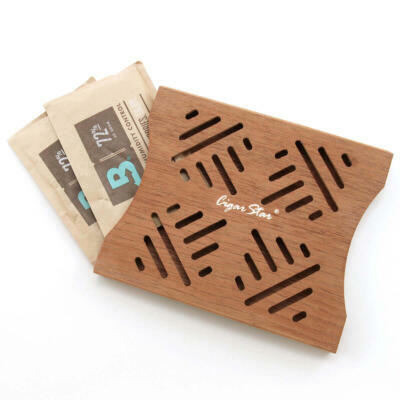 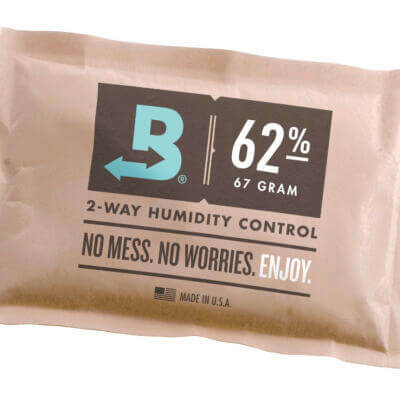 Humidor Humidifier Set provides excellent convenience. 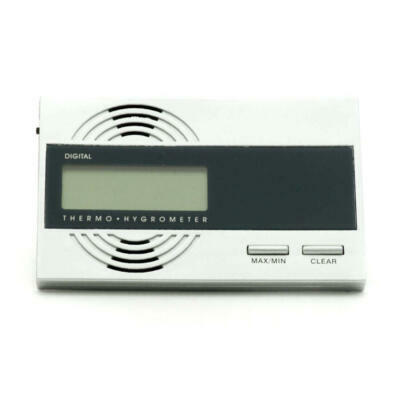 The digital Caliber 4R hygrometer along with the crystal gel humidifier will keep the humidity at the optimum accurate measurement of the relative humidity (RH) inside your humidor. 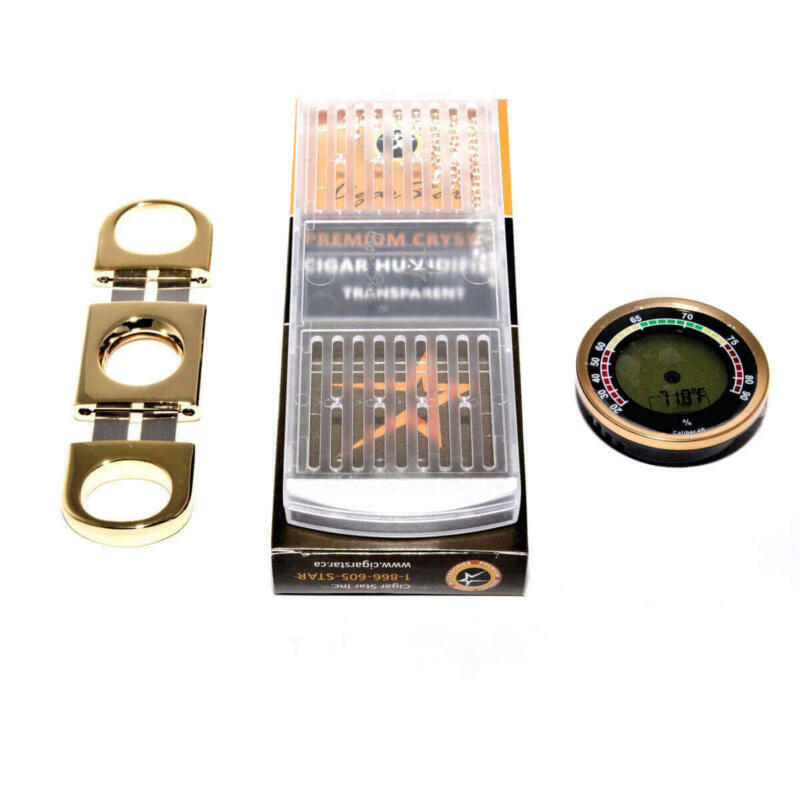 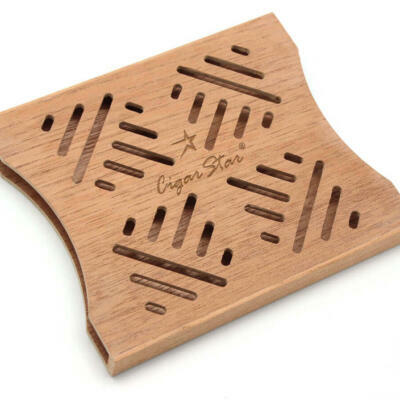 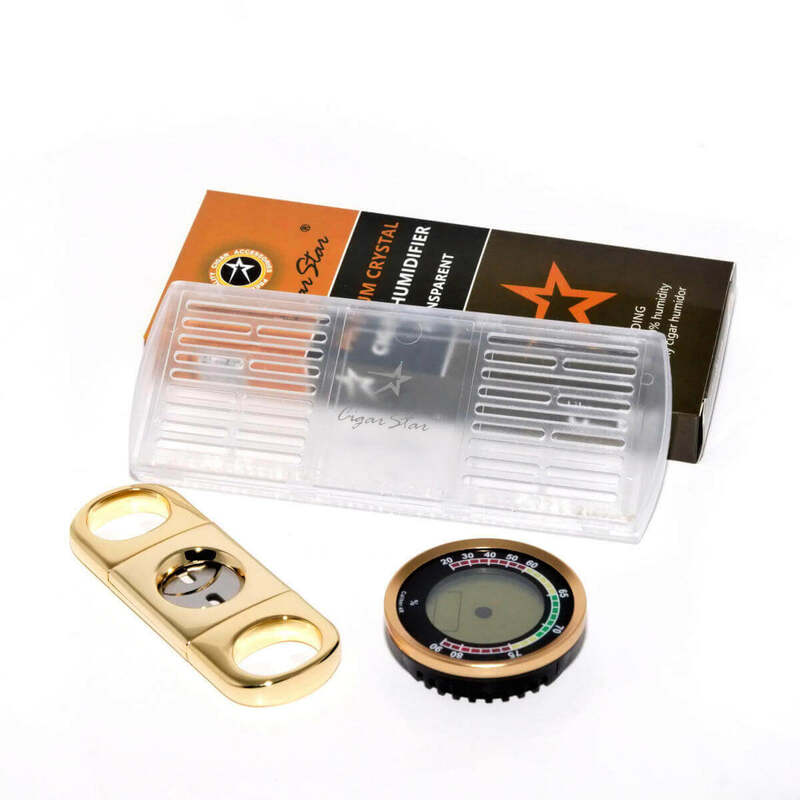 The double blade stainless steel gold cigar cutter is a must to enjoy your cigars! 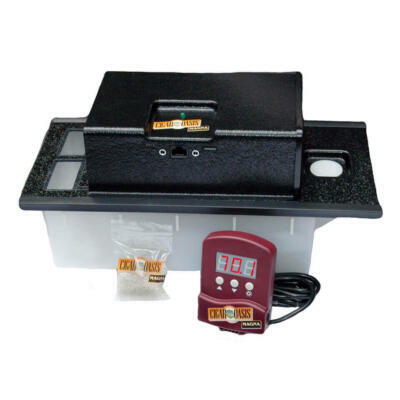 This kit represents more than a $20.00 SAVINGS versus purchasing the items individually!